One of the principal goals of inbound is to bring in leads organically and there is no better tool to achieve this than your website. The aspects of website design that you choose to employ have a direct impact on how visitors behave on your site and whether or not they convert. Though there are many ways to design a website with leads in mind, these four tactics are effective starting points for driving conversions on your site. Your homepage is the face of your business. It sees the most traffic on the site, so it should be visually appealing with images and clean, concise copy. Your visitors should be able to quickly understand your value proposition and find what they are looking for, whether it be a CTA right there on the homepage or navigation to another page on your site. Keep in mind also that visitors will be accessing your site from a range of devices and if your site isn't responsive, or designed to display appropriately on all devices, it can easily turn potential leads away. And with about half of consumer traffic to leading websites coming from mobile devices, it’s obvious why a responsive site is crucial. Bonus: Check out this great infographic from HubSpot on the critical elements that every homepage should have. There are several elements to a landing page that effectively converts visitors. Just like your homepage, it’s important to include a strong headline and a clear description of the benefit your visitors will get from your offer and what problem you will help them solve. Unlike your homepage, your landing pages should not contain menus or navigation. For lead generation purposes, you want your visitors’ attention focused strictly on a call to action or form. An appropriate form should capture the information you need without being too long or intrusive and thus turning your visitors away. It’s also best practice to include an image and immediate access to the content that you are offering. When discussing a great landing page, why not turn to the pros? 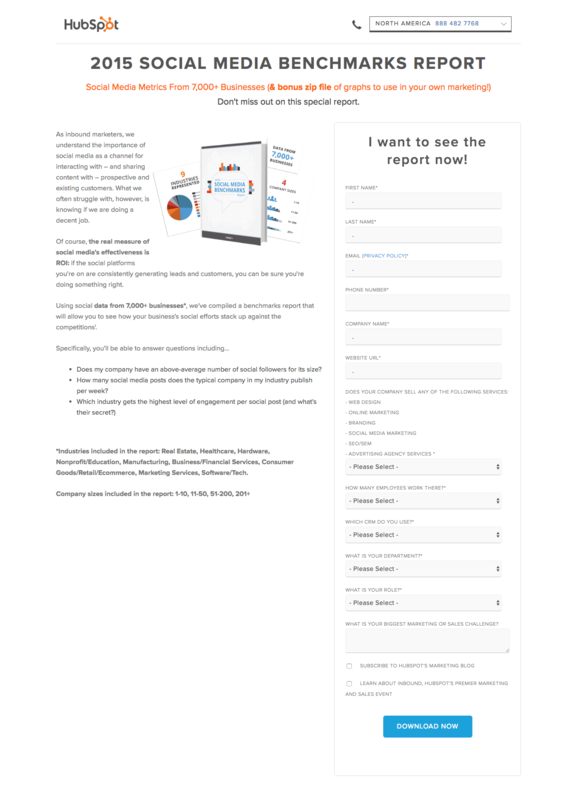 On the page shown here, HubSpot clearly outlines the purpose of their offer, how it can be used to the downloader’s benefit, and a few of the key questions that readers can expect the report to answer. The page design is clean and simple, features an image, and incorporates a form that emphasizes immediate access to the report. An intriguing call-to-action (CTA) can have a significant impact on your conversion rate. Best practices for CTA design include using colors and copy that are visually appealing and incorporating action-oriented words like “register now” or “learn more.” Your copy should be concise and direct, yet pursuasive. Make it easy for your visitors to convert by including CTAs on multiple site pages as well as on your blog posts. 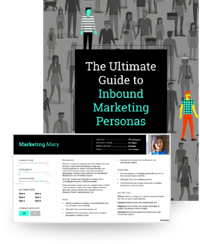 CTAs are a design aspect that should be experimented with to see what your audience finds attractive. If your CTAs aren't performing the way you woud like them to , try changing copy, design, and placement on your site and tracking the results. 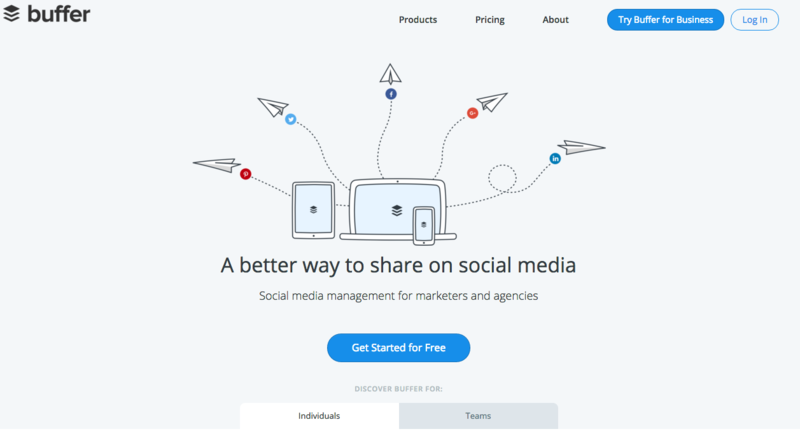 The buffer homepage employs simple CTAs that urge visitors to get started with their product immediately and at no cost. 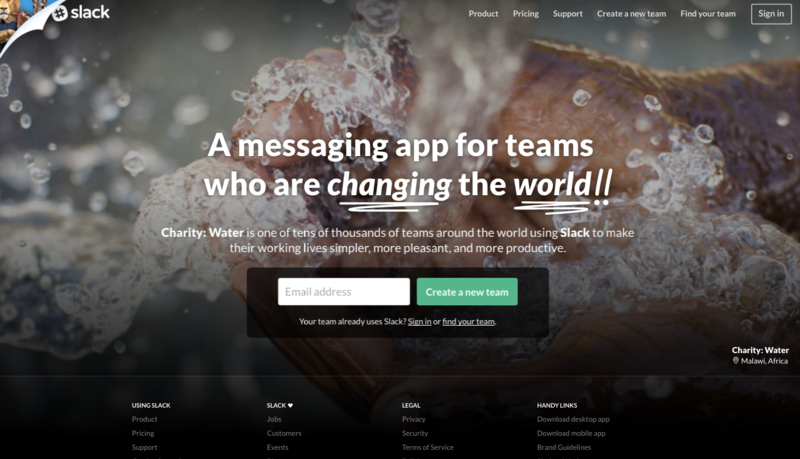 The minimalist design and color draws the eye right to the CTA buttons. 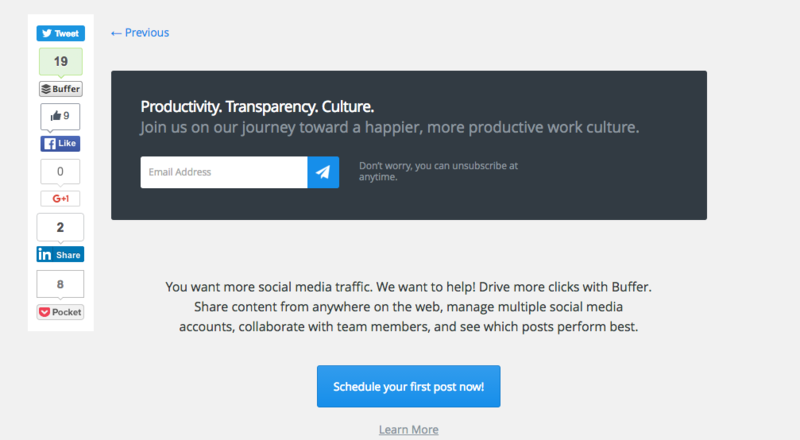 buffer also wisely uses multiple CTAs at the end of their blog posts, one encouraging blog subscription and one to sign up for their product. Although maybe not thought of as a conventional design tactic, incorporating a blog into your website is crucial to lead generation nonetheless. Your blog attracts visitors, improves SEO for your site, and helps to establish you as a subject matter expert, all helpiong to increasing conversions. According to Hubspot, 82% of marketers who blog daily acquired a customer using their blog, as did 57% of marketers who blog monthly. A blog is an instrumental tool in pushing visitors to your landing pages - remember those CTAs I mentioned earlier? 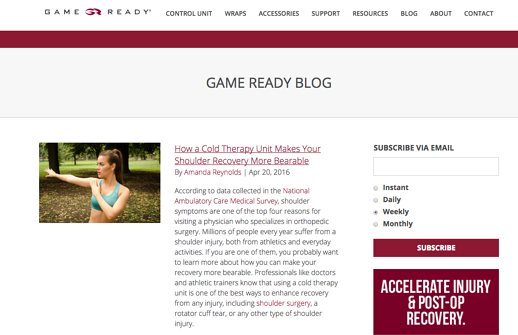 To help grow their business, Medical Device manufacturer Game Ready implemented a keyword and blogging strategy that helped optimize their website, boosting their online presence and improving lead generation. Blogging regularly was a key factor in the 110% growth in organic leads they saw within the first year. Read the entire case study here. Bonus: There is great opportunity to attract visitors and convert leads with compounding blog posts. This article explains how you can get more mileage out of your posts over time. What web design tactics have you implemented to help drive leads? Kristin Lisak is a Senior Consultant at SmartBug Media. She has experience as an in-house B2B marketer, focusing on inbound marketing strategy and implementation. Kristin has a BBA in Marketing from the University of Wisconsin-Milwaukee. Read more articles by Kristin Lisak.